U.S. Senate • Rising GOP star says he won't decide until the fall. Tribune File Photo Sen. Orrin Hatch Chris Detrick | The Salt Lake Tribune Jason Chaffetz speaks at the Salt Lake Hilton Hotel Tuesday November 2, 2010. File Photo | The Salt Lake Tribune Sen. Orrin Hatch, R-Utah CHRIS DETRICK | Tribune File Photo Rep. Jason Chaffetz. Utah Rep. Jason Chaffetz has told several Utah political insiders that he plans to run against Sen. Orrin Hatch next year, setting up a major intraparty Republican 2012 battle. All eyes have been on the second-term congressman for months. But five Utah politicos, speaking on condition of anonymity, said Chaffetz has told them directly in recent weeks that he will contend for the Republican nomination. Chaffetz said Tuesday that he's not making any official announcement yet, but he is moving toward a Hatch challenge. "I have an increasing clarity," Chaffetz said. "Until I walk up to the microphone to make an announcement, it's not official. But it's no secret I've been thinking about this and I've been gravitating in that direction." Hatch's campaign manager, Dave Hansen, said he has heard that Chaffetz has made some calls to tell people he would get in, but hasn't heard anything definitive. "We'll just have to wait and see if he does it and, if and when he does, then I'll have a comment on it," Hansen said. "The senator's campaign is not based on who his opponents are. It's basically just making sure we get his message out." The pro-business Club for Growth said Wednesday that if Chaffetz decides to challenge Hatch, the club will back Chaffetz. Chris Chocola, president of the D.C.-based Club for Growth, said Chaffetz has been "a pro-growth star since entering the House and is exactly the type of leader we need in the United States Senate." "Senator Hatch has frequently supported policies that have grown government, burdened our economy, and taken America in the wrong direction. Fiscal conservatives can do better," Chocola said. The Club for Growth targets several of Hatch's votes, including his support for the Troubled Asset Relief Program during the Bush administration, five votes to raise the debt limit and his support of a bill aimed at stabilizing Fannie Mae and Freddie Mac. If Chaffetz does indeed challenge Hatch, it sets up a titanic battle between the 36-year incumbent senator and the sophomore congressman who has been a rising star in the Republican Party. "If Chaffetz declares, he is clearly the most formidable challenger to Orrin Hatch," said Kirk Jowers, director of the Hinckley Institute of Politics at the University of Utah. "Senator Hatch has this amazing history of service and a significant leadership post, but Chaffetz is simply the most popular politician among the delegates in Utah at the moment." 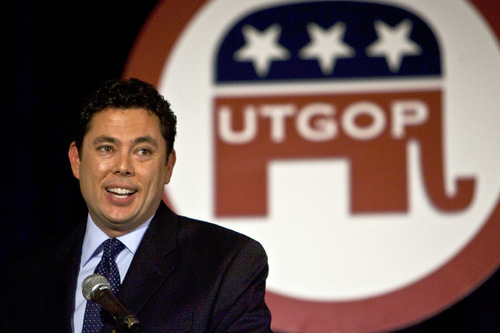 Chaffetz said Tuesday that he won't formally announce his plans until after Labor Day. 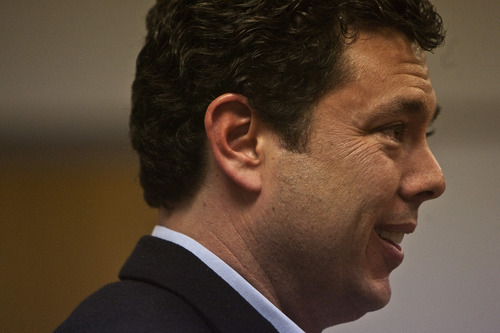 "There's a pretty steady drumbeat of encouragement to run for the Senate," Chaffetz said. "It's very flattering." It could mark the second major challenge to a Utah incumbent senator  the first resulted in the defeat of three-term Sen. Bob Bennett at the 2010 GOP convention. But Bennett's defeat has served as a wake-up call to Hatch, who already has launched a rigorous campaign, hiring a large staff to reach out to discontented Republican delegates at the state convention. Chaffetz, meantime, has attended town hall meetings in places like St. George and Vernal, and will be going to another in Cedar City  all places outside his congressional district, but would be in the mix in a statewide race. State Sen. Dan Liljenquist, R-Bountiful, said he may join the U.S. Senate race as well. "I'm considering it," he said. "I won't make a decision until the fall." Chaffetz's entry into the race could also clear up a bottleneck for ambitious Utah politicians who have said they want to run for higher office but have been waiting for Chaffetz to decide his future. Chaffetz vacillated over the past several months about whether he would seek re-election to his House seat, challenge Hatch or even run for governor against Gary Herbert. In the process, potential candidates like state Sen. John Valentine, R-Orem; Rep. Carl Wimmer, R-Herriman; and others have waited to see if there would be an opening on the Republican ticket in Utah's 3rd District and how congressional redistricting plays out. "All of the other races kind of rotate off of what he decides to do," Jowers said. "What is available to whom is the key question, and Chaffetz seems to dictate all the rest of the moves." 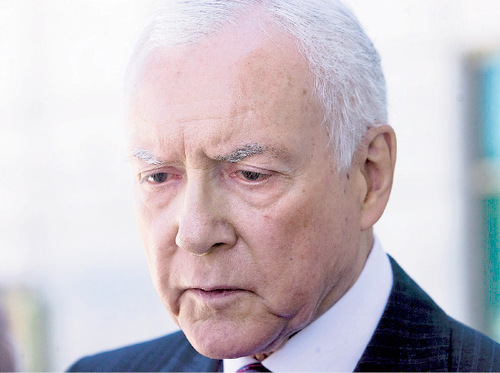 An October 2010 poll commissioned by The Salt Lake Tribune indicated a vulnerability for the state's senior U.S. senator, Orrin Hatch. 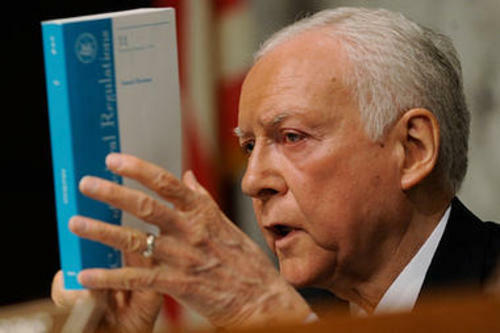 48 percent said they would vote for "someone else"
Hatch has been busy attempting to shore up support among Utah conservatives in recent months. Any inroads he has made are obviously not reflected in the seven-month-old poll of 625 registered Utah voters selected through scientific random sampling.